Twin, Digital 1.5 gal. Satellite Brewing System with 2/1.5 gallon servers included. Gemini with Advanced Digital System technology lets you turn up the power of high-speed brewing with greater ease, reliability and even more consistent quality. Engineered with innovative solid-state digital technology, the GEM-12D has more features, more speed and greater brewing accuracy than ever before. 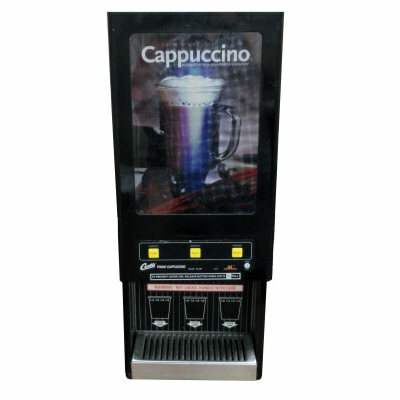 ADS Technology – Controls are centralized on the front TouchKey Panel for easy programming and operation. Digital components means fewer, longer lasting parts for unsurpassed reliability, reduced parts inventory (branch and truck level), and easier service. Programmable Brew Temperature – Factory set at 200F. 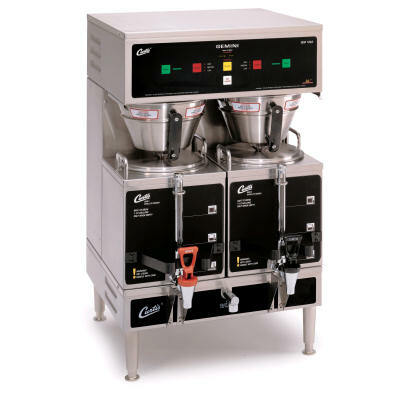 Easily adjusted in 2F increments from 170F to 204F for optimum coffee quality. Digital Brew Counter – Senses and tracks each brew cycle. Ideal for account qualification, preventative maintenance programs, profitability reports and more. Self Diagnostic – Expedites service. 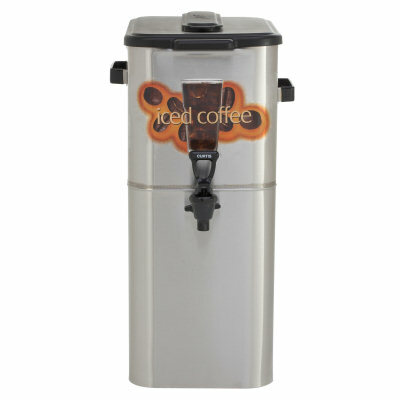 Brew Cycle Water Bypass – Prevents over extraction of grounds for better tasting coffee. Soft-Pulse Heating System – Offers Low, Medium and High heat. Software control maintains coffee temperature gently. Works with any standard satellite. Enery-saving mode – after being inactive for 2 hours, system reduces tank temperature to conserve energy. Recovers by pressing a button. Digital Temperature Control keeps brew temperature constant with digital accuracy to easily handle three back-to-back brewing cycles. Plus, a liquid level control interface prevents element burnout.